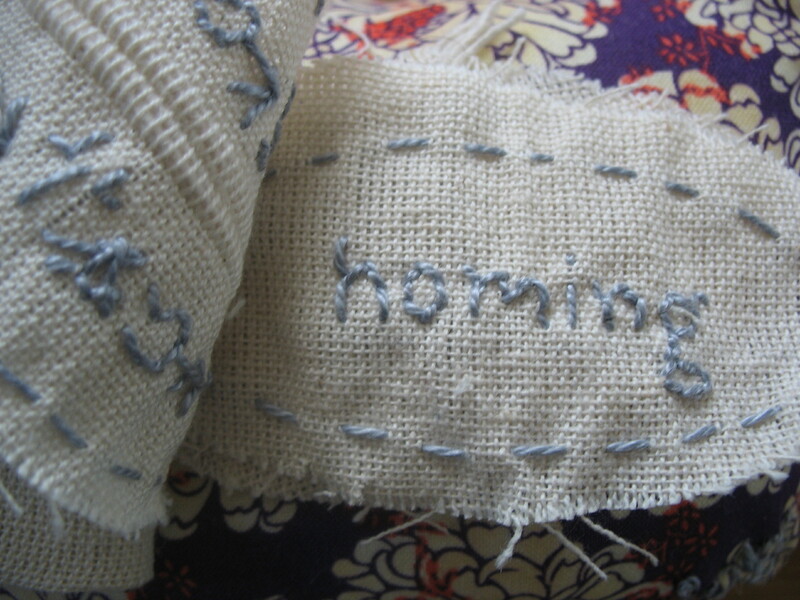 Homing is made completely of fabric, with hand-embroidered text. 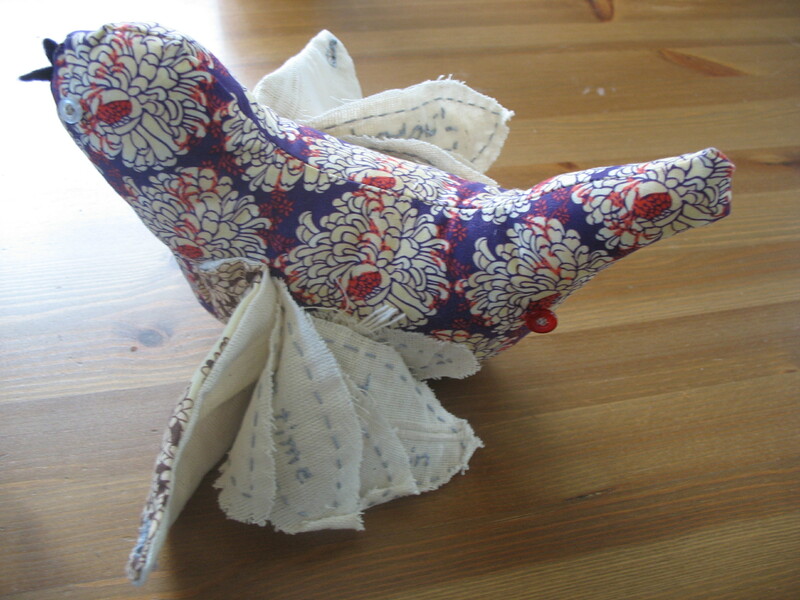 The feathers, or “pages,” tack to the body of the bird with red buttons. 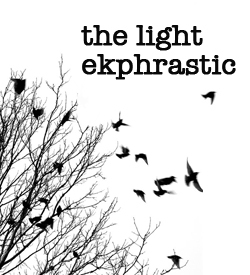 When opened, they reveal a poem that reads forward and backward, depending on which side of the bird you’re on, to represent the bird’s migration from north to south and back.